From the very beginning, the armed conflict that broke out in the Donbass in the spring of 2014 drew in right-wing radicals, on the Ukrainian as well as on the Russian side. Organised ultra-nationalist groups and individual activists established their own units of volunteers or joined existing ones. The ideology, political traditions and general track record of these right-wing extremists meant that it was both natural and inevitable that they would take an active part in the conflict. Yet the role of right-wing radicals on both sides has on the whole been exaggerated in the media and in public discussion. 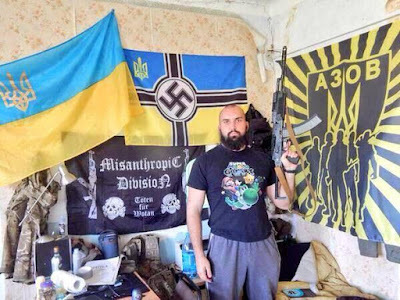 This article demonstrates that Russia’s use of right-wing radicals on the side of the “separatists” in Donetsk and Lugansk provinces had greater military and political repercussions than the involvement of Ukrainian far-right groups in the “anti-terrorist operation”. The general course of the conflict, meanwhile, caused the importance of far right-groups on both sides to decline. Full text of the report see, please, here (*.pdf).